United Kingdom UK is the sixth place in popularity among tourists. And the main question when planning a trip is a visa. Prepare all documents for presentation to the Consulate. To the requirements of the consular Department take seriously. Documents are accepted at any UK visa application centre. Fill out the form. From March 1, 2008, the Embassy uses only the electronic submission form directly on the website http://visa4uk.fco.gov.uk/ApplyNow.aspx, i.e. consecutive fields in the online mode. To fill in the questionnaire need English. If you for some reasons can not immediately fill all the items in the questionnaire, you can save and return to it later. Login to website under your email address. It will send you an individual number. After filling a special link to submit the form. You must also print it in two copies and attach all the required documents. Visit the British Embassy. Convenient day and time you will be able to choose when filling out the questionnaire in the appropriate box. After that your email will be sent with acknowledgement of application. In it you will find an assigned code. Print this information for presentation at the entrance to the Consulate. Come to the meeting for about 20-25 minutes. The duty will let you into the room of the visa Department in accordance with your code. There you will await the call to the consular officer. After receiving the documents and interviews you need to pay the visa fee. The amount of payment varies depending on the visa validity period - from 3500 to 30,500 rubles. Then you have to go through the procedure of biometrics. At the Consulate if you have any questions, you may call for an additional interview. However, nothing wrong with that. The interview itself does not mean that the visa you will be denied. After all procedures you will be informed when you will be able to learn about the results of the review. The time limit is up to 4 weeks. Call the Consulate, you will know whether the visa. 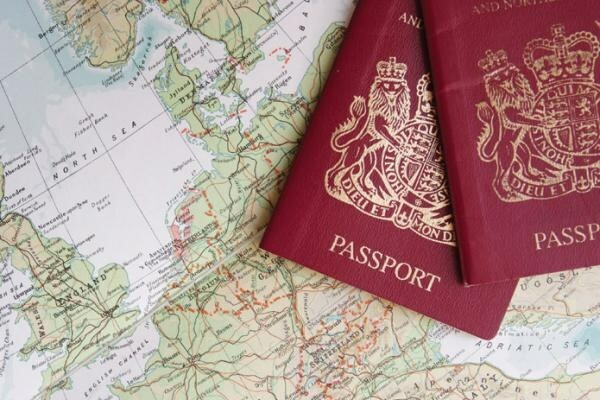 If Yes, then you can take visa with your passport by themselves or through a proxy. Also be sent by courier service, for a fee. The list of securities changes from time to time. Therefore it is useful to check the information on websites of embassies, even if your friends get a visa in the past.